The 125M isn’t a ground-breaking new motorcycle on the styling front. The new styling has been well-received and the 125M receives the scaled down version of the 125ST’s bodywork. That means a sculpted tank and panels and at the end of the tail piece a three-line LED tail light. It looks neat and familiar if you’ve seen the other new Discovers. But keep an eye out for the silver version with the blue stickering, that one looks especially fresh and cheerful. 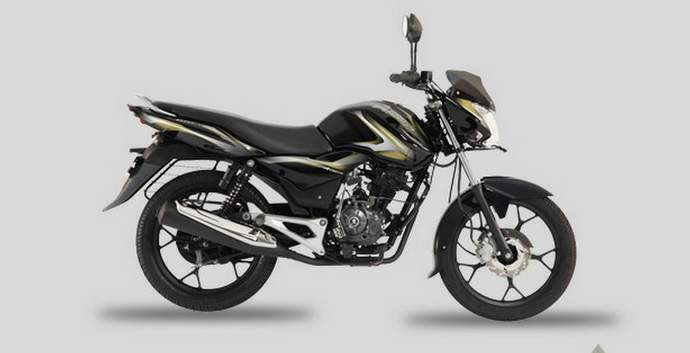 By and large finish levels are just like any other Bajaj Discover – pretty good. Build quality, similarly feels good. What doesn’t is that between the narrow tank and handlebar, it feels quite skinny and therefore, a bit spartan in nature. The engine in the Discover isn’t all-new. It is based on the four-valve engine that goes into the 125ST but has been tuned down to offer more economy – hence the M(ileage) in the name. Power comes down 1.5PS from the 125ST to 11.5PS on the 125M. Torque is the same at 10.8Nm. However, making peak power and torque at 8,000 and 6,000 respectively, that’s a 1,000rpm drop over the 125ST. Bajaj says this nets it a just under 10 per cent gain in economy. It isn’t just the tuning alone, the 125M is also 6.5kg lighter than the 125ST. 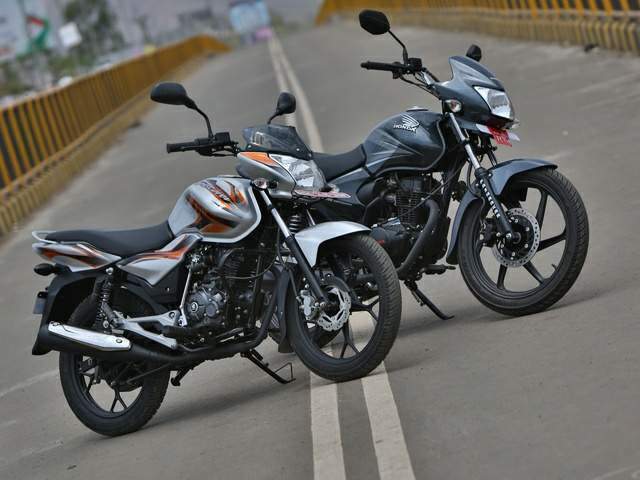 The weight is also the reason why despite the detuning, the 125M still has a better power-to-weight ratio than most of the bikes in the segment. Out on the road, performance testing reveals that first gear is pretty short but you’ll find the torque spread strong enough to handle more or less everything in third or fourth gear except for low speed crawling. 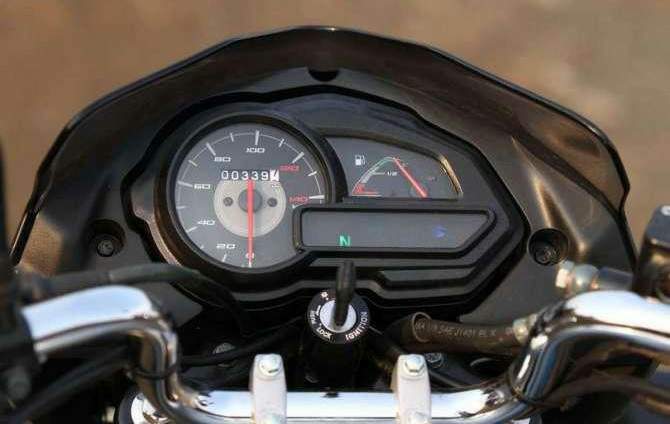 Top speed is 94.8kmph though the needle is floating gently at this point near the 100kmph mark on the speedo. It is reasonably quick too – 60kmph comes up in 6.8 seconds. But the real question is the mileage in the segment right? The motorcycle returned a promising 65.40kmpl on our highway test which fell to 60.11kmpl in the city or 61.48kmpl overall. The 125M gets the single-downtube cradle frame from the 100M and that means not only the lighter weight but also the shorter wheelbase, full 50mm under the 125ST and 11mm less than the segment leader Honda CB Shine. Does this make any difference to the dynamics? It does. The 125M is extremely light in feel and changes direction rapidly which makes slicing through city snarls extremely easy. However, the thin rubber and short wheelbase also make it feel a little on edge in the corners. The Eurogrip tyres aren’t the culprits, proving reasonably grippy if you’re willing to brave past that sensation. The short wheelbase is also probably why crosswinds and high speed highway traffic make the 125M feel a bit flighty and unstable nearing its top speed. On the other hand ride quality, something Bajaj usually does well, is as you expect it. The 125M isn’t overtly soft, neither is it very stiff. The suspension setup is stiff enough to feel nice on good roads but soft enough to absorb most of our urban roads. What it doesn’t like are sharp bumps which, especially at speed, you’ll feel. The disc brake is also very likeable offering strong bite and feel without stepping over into overaggressive territory.